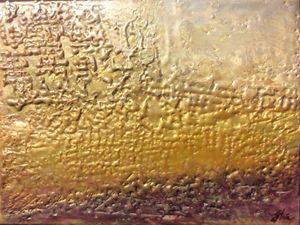 This abstract painting that features texture and motion, is done in earth tones, with embedded gold metallic pigments for interesting depth and vivid hues. 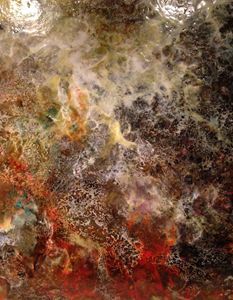 All of my paintings are nature inspired, glossy, sleek to the touch, with an enamel-like finish. 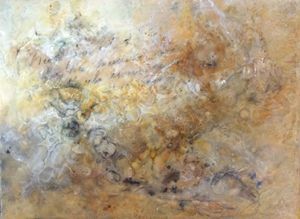 This piece is fascinating, contemplative and complex, making it an ideal addition to any fine art collection. This is "Desktop Fine Art", for a friend, coworker, or yourself. It is unframed and would display beautifully, as is, on a simple, small easel. 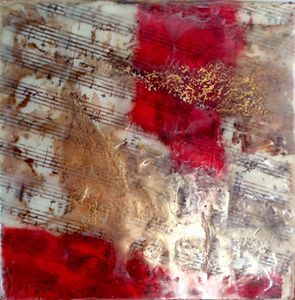 Encaustic paintings are archival, impervious to moisture. 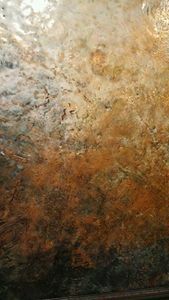 Occasionally buff the surface with your hand, and you will enjoy its lustrous, glossy finish for a lifetime. 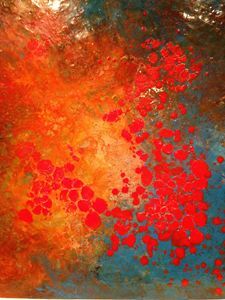 Inspired by nature and motivated by texture and color, I have been painting for more than thirty years. Creating has been my lifelong passion, both abstractly and figuratively, in various medium, ever exploring and seeking new expressive outlets. 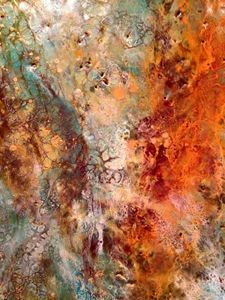 After years of painting with oil, watercolor, acrylic, pastels, etc., more recently, I became fascinated with impasto techniques. 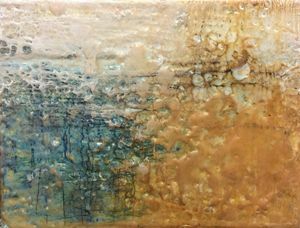 I felt compelled to add more depth and dimension to my paintings, to add an extra level of interest for the viewer. By altering the viscosity of the paint, I discovered that I could cast shadow and incorporate it as an interactive part of the image. Motivated by this notion, I kept pushing and researching until finally arriving at the pinnacle of my artistic career: Encaustic painting. This ancient art method was used by Greeks, Egyptians, thousands of years ago, to create art and burial masks that would be archival, that is, permanent, and able to withstand the test of time, by being impervious to moisture. Using hot coals, the ancient artisans would melt beeswax and earth pigments and tree resin, to porous substrates. This process is so steeped in tradition and respect, it really resonates with me, on so many levels, particularly in that I am a wife and mother, artist, and business owner. 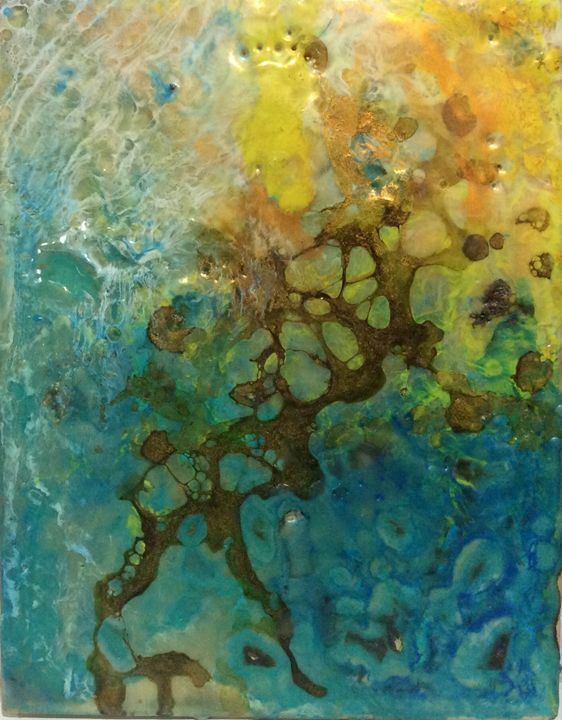 Conversely, I now create my own encaustic paints with beeswax, damar tree resin, earth pigments, and oil paints. Thus, "I paint with a torch." 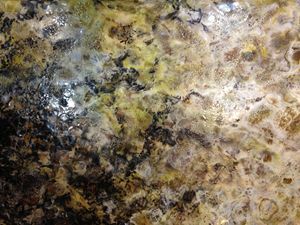 Using propane and butane torches, heat guns, heat sealing irons, heated stylus, and a hot-plate palette, I paint, fusing multiple layers of the medium to birch boards or other porous grounds. The process is challenging, dangerous, and quite labor intensive, but to me, it is a labor of love. I lose myself in the process, tasking both brain and heart. 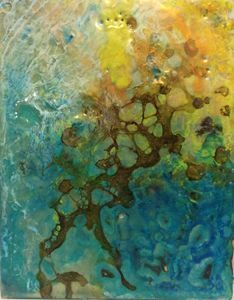 The possibilities are endless with encaustic, not only because I can formulate my own paint and control its opacity and texture, but I can also embed natural elements into the wax. I can apply text, image transfers, create illusions, to capture dreams and memories on canvas. 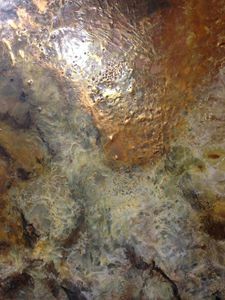 Throughout this adventure, I have created new techniques, for example, "pooled alcohol burns", making for an interesting, bizarre effect that fuses pigments immediately into the wax paint-medium on the substrate. Not only is the sweet aroma of beeswax comforting, I also enjoy incorporating pigmented shellac-burns throughout my pieces, to create a webbed, lace-like layer on the painting. The addition of natural earth pigments makes for lush, rich hues, highlighted by the translucency and luster of the beeswax and damar. 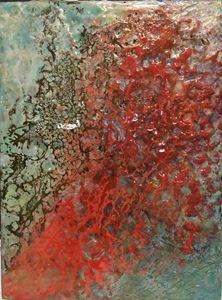 I hope that you enjoy my art and you find it contemplative, and that you are able to connect on a level that is as freeing as for you as it is for me, in creating it. "Art Sparks the imagination." -Sha. 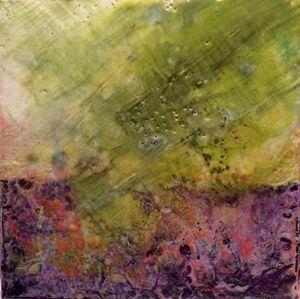 (See more at srowan.weebly.com, on Facebook as Sha.Rowan.1, ArtbySha and Wax Ecstatic Encaustics, on Flickr, Pinterest, Instagram).